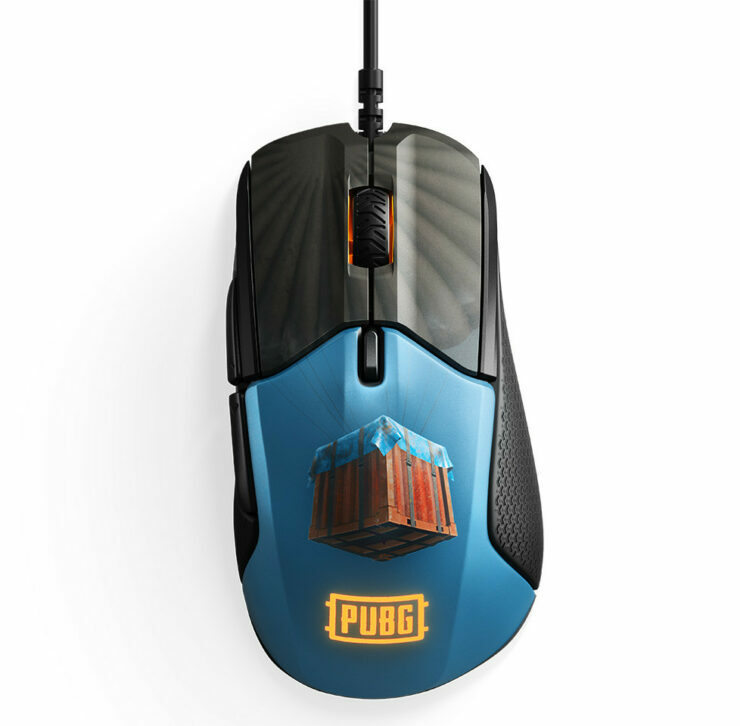 Today, SteelSeries is proud to announce in collaboration with PLAYERUNKNOWN’s Battlegrounds, a limited edition line of PUBG-branded peripherals. The new headset, keyboard, mouse, and mousepad are designed with exclusive images inspired by the popular battle royale game. The SteelSeries PUBG partnership was announced earlier this year with the launch of a PUBG QcK+ mousepad. Ehtisham Rabbani – SteelSeries CEO. 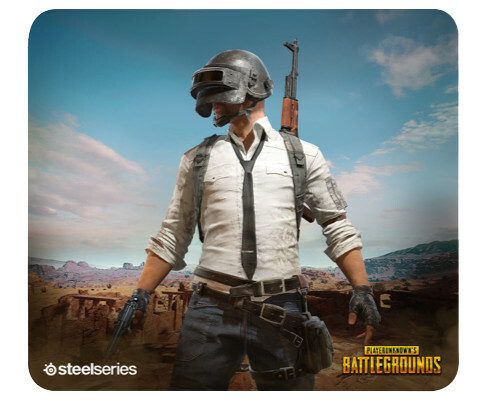 SteelSeries is also collaborating closely with PUBG to provide future SteelSeries Engine GamesSense support. The integration will allow PLAYERUNKNOWN’s Battleground players to customize the illumination effects on PUBG peripherals based on in-game events. The line, available globally in Q3, includes PUBG editions of the Arctis 5 gaming headset, Apex M750 TKL gaming keyboard, Rival 310 gaming mouse and QcK+ mousepad. The award-winning Arctis line is getting the full PUBG treatment with the Arctis 5 PUBG Edition. 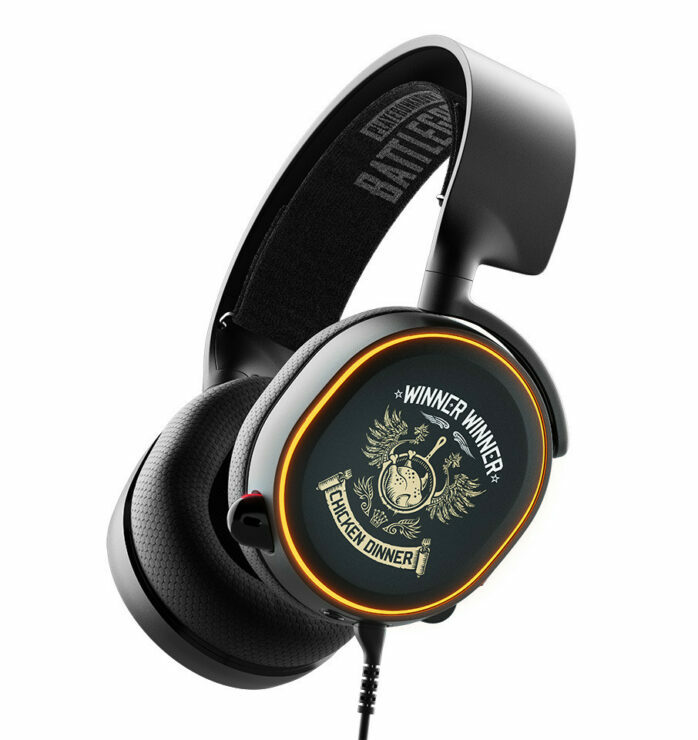 It features the PUBG logo on the ski-goggle headband and “Winner, Winner, Chicken Dinner” art on the earcups. The Arctis 5 is a USB, 7.1 surround sound gaming headset with Prism RGB illumination and SteelSeries’ ClearCast microphone, the best microphone in gaming. The Apex M750 TKL is a ten keyless keyboard designed for esports athletes who need the extra desk space for quick and precise mouse movements. The Apex M750 TKL PUBG Edition features PUBG-specific icons in place of some of the traditional letter keys. The WASD keys have been replaced with silver keycaps with arrows, the ESC replaced with the iconic PUBG helmet and the numbers one through five have been replaced with weapon icons. 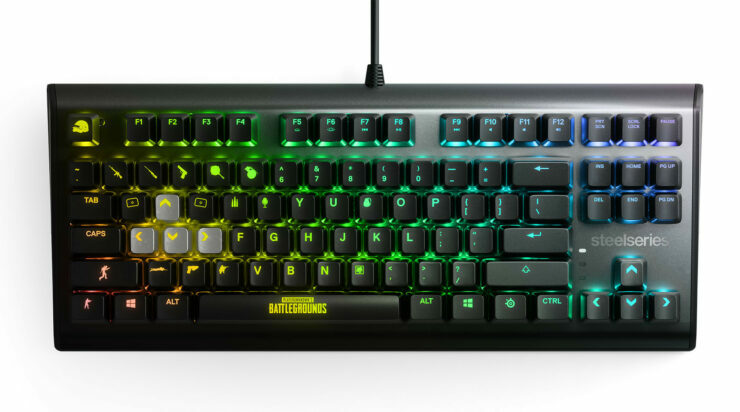 The M750 TKL still retains its brilliant RGB lighting, durable aluminum frame and exclusive QX2 linear mechanical switches. The Rival 310 was a mouse made for speed and accuracy in first-person shooters due to the power of the TrueMove3 sensor. The Rival 310 PUBG Edition features the same high performance, but with special design. The design features the PUBG logo and recognizable Air Drop crate. The mouse uses a split-trigger button design and multi-color Prism RGB illumination compatible with SteelSeries Engine software. The QcK+ PUBG Edition features art from the Erangel and Miramar maps. The Erangel mousepad was first introduced when SteelSeries announced the partnership with PUGB earlier this year. The QcK+ measures 450x400x4mm and are made of a nearly frictionless surface and has a non-slip rubber base. Changhan Kim – CEO, PUBG Corp.